La sezione A.R.I. 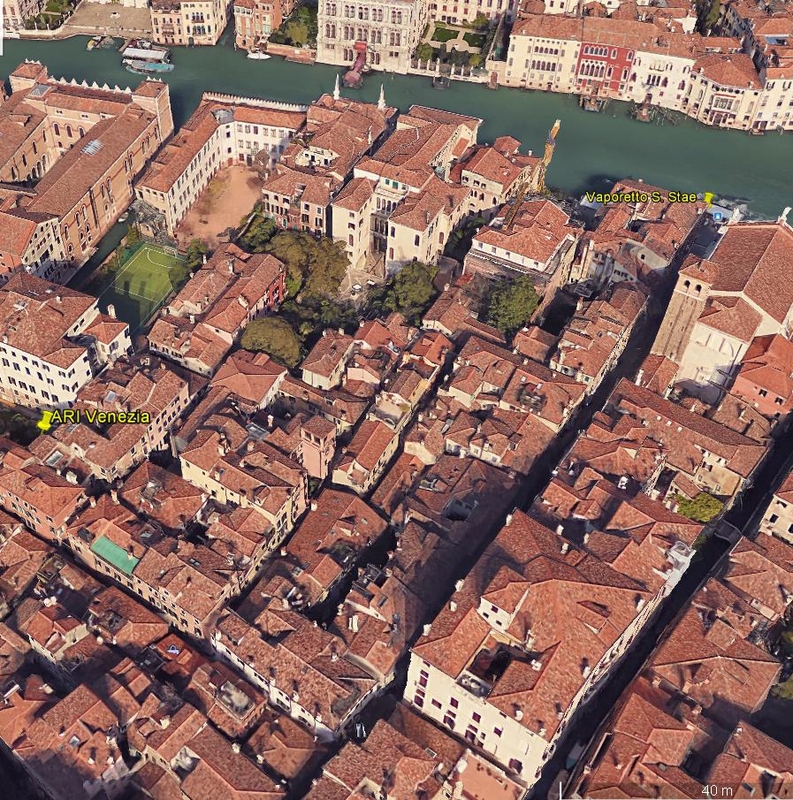 di Venezia si trova nel Sestiere di Santa Croce, in Calle del Megio 1776/B, è facilmente raggiungibile con il vaporetto della linea 1, scendendo alla fermata di S.STAE si prosegue sulla SALIZADA S.STAE, proprio di fronte alla fermata, per circa 150 metri quindi a destra si prosegue passando il piccolo ponte e girando a sinistra in calle del Megio si trova la sede. The A.R.I. association branch of Venice is located in the ancient district of Santa Croce in the centre of the old City of Venice. Getting off from vaporetto line 1 in San Stae stop go straight for about 150 meter and turn righ, cross the small bridge you will arrive in Calle del Megio where we are at number 1776/B. Our regular meetings take place montly the second Sunday from 10.30 to 12.30 and on Friday from 18.00 to 19.00, except on July and August. We operate two repeaters both located in Venice: R1 145.625 Mhz (-600) and RU6 430.150 Mhz (+1600) regional subtone 94.8 Hz this one is a YAESU DR-1 digital/conventional FM dual mode repeater. The A.R.I. of Venice issues two beautiful certificates (Serenissima and Venice Island For UNICEF). Have a look at them on our website (see link above). 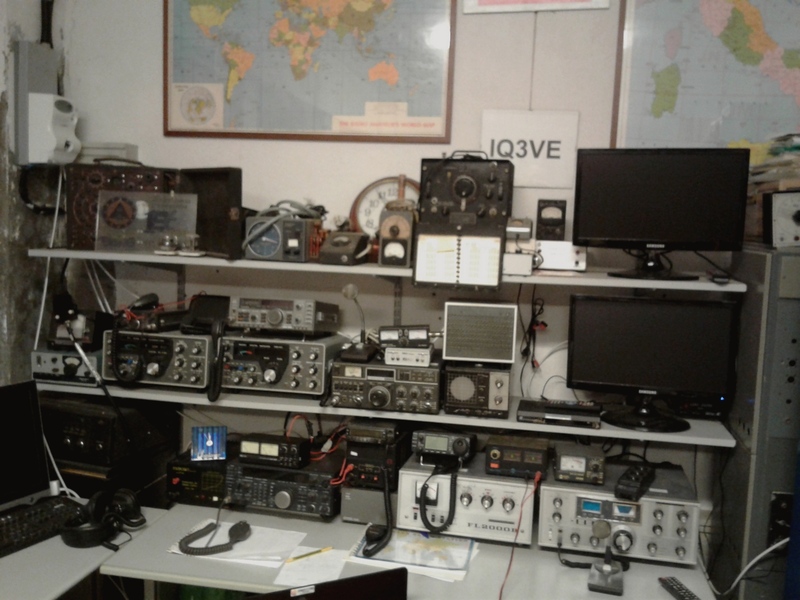 Despite a fall in new members and the strict antenna restrictions we try to keep alive the genuine ham-radio spirit in the City of Venice and in the surrounding islands of the Lagoon. Our operators are active on SSB, CW, FM, PSK, Packet and the latest technologies like satellite APRS and ATV. A number of members are involved in the Council Civil Protection emergency communications system.